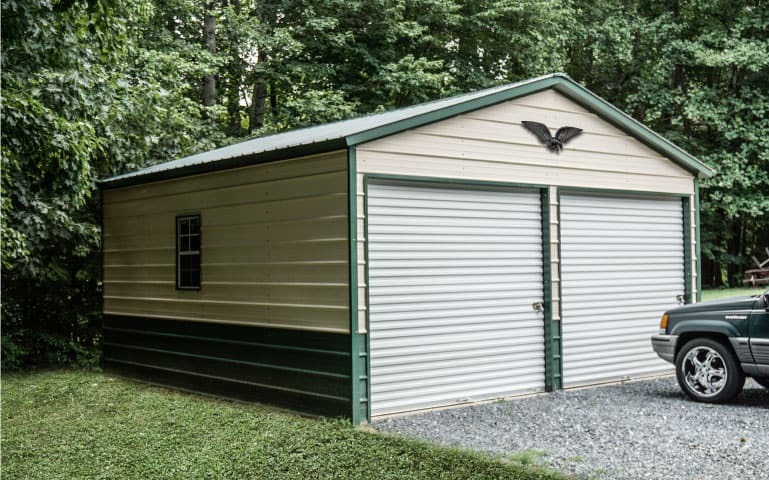 Put your trust in galvanized steel and precisely engineered steel trusses to protect your most prized possessions. 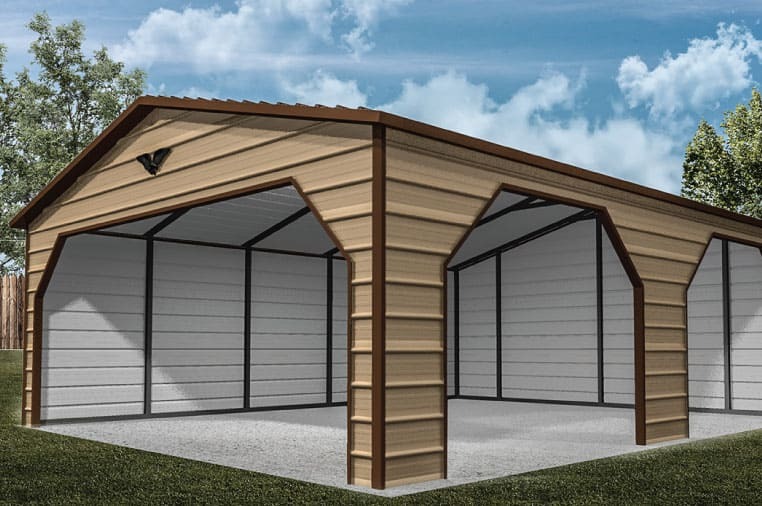 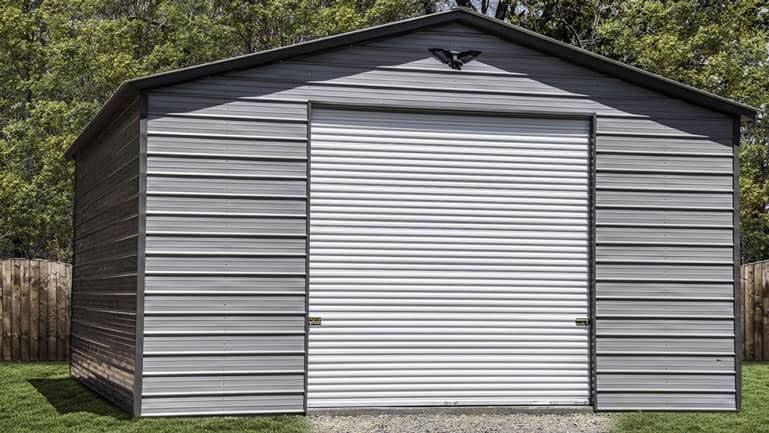 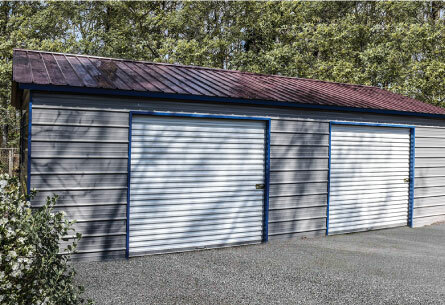 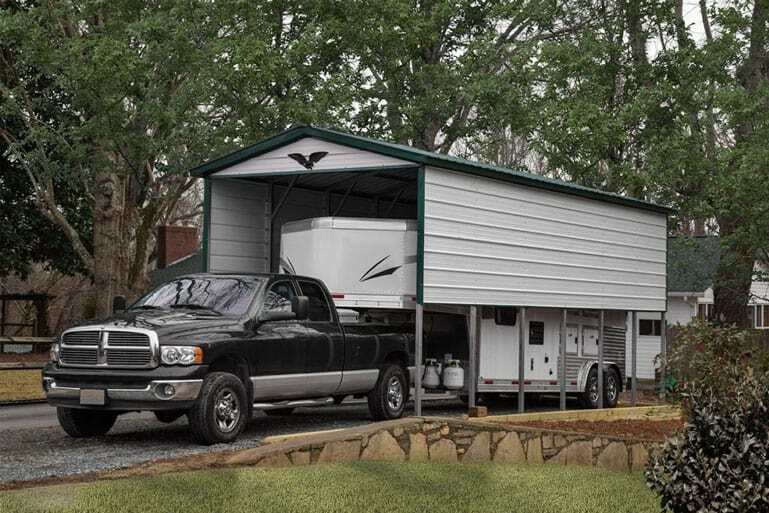 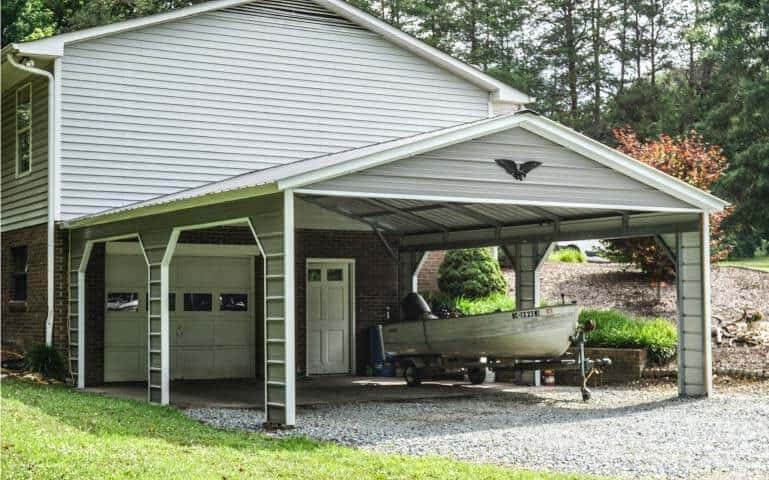 Whether you have an antique sports car, an entire workshop of woodworking tools, or even a horse you need to house, metal carports in North Carolina work great. 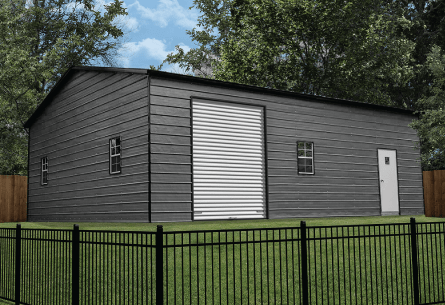 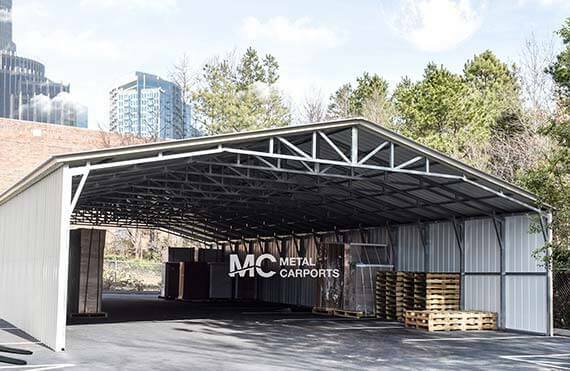 All of the packages we offer here at MetalCarports.com are easily customized to create the precise storage or work space you need. 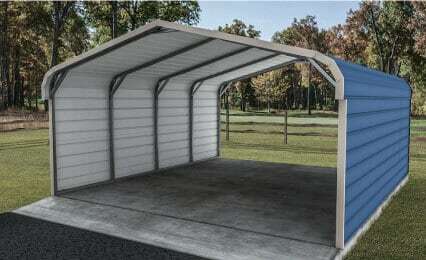 Check out the options further down the page. 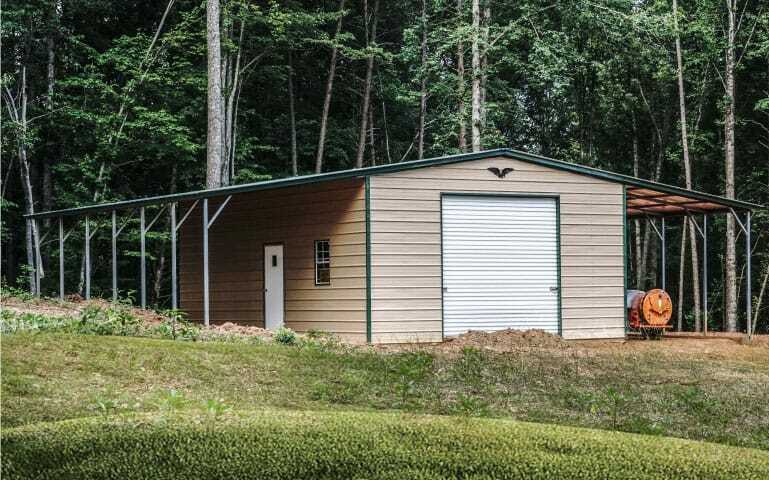 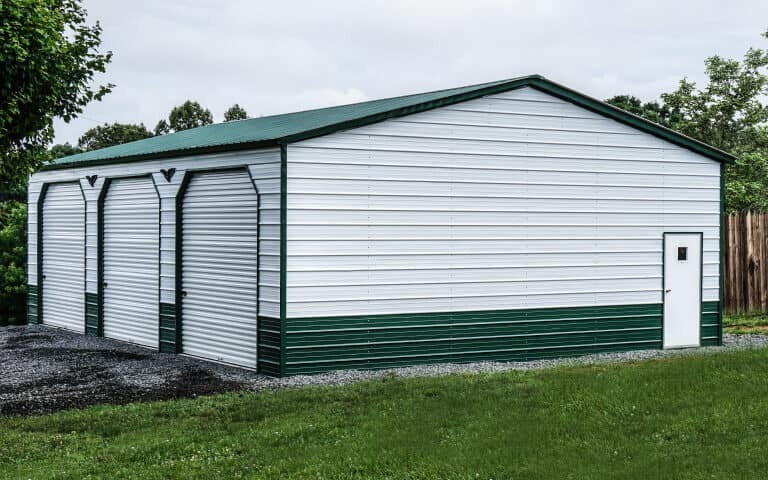 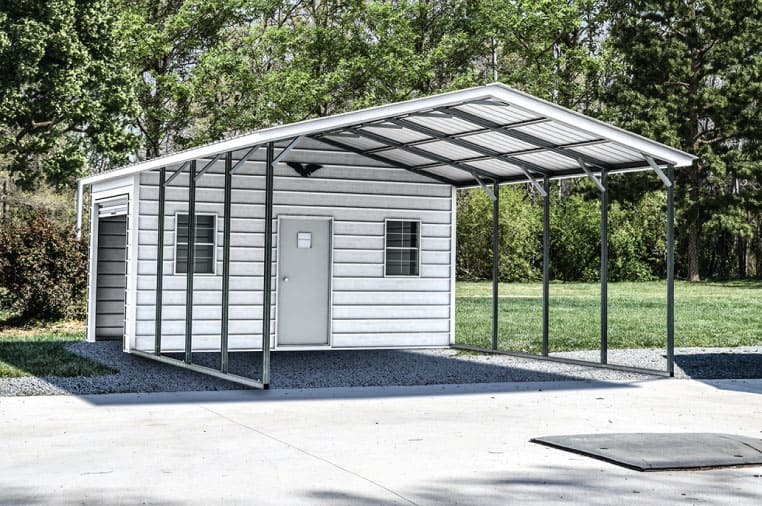 Eastern and Western North Carolina face very different weather conditions, but both parts of the state require metal carports and structure with extra reinforcements. 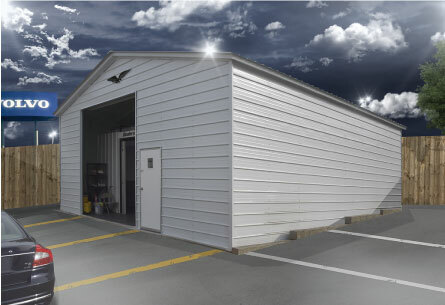 Hurricanes and tropical storms regularly affect homes and businesses along the Eastern coast of the state, while the central and Western areas experience more tornadoes and floods. 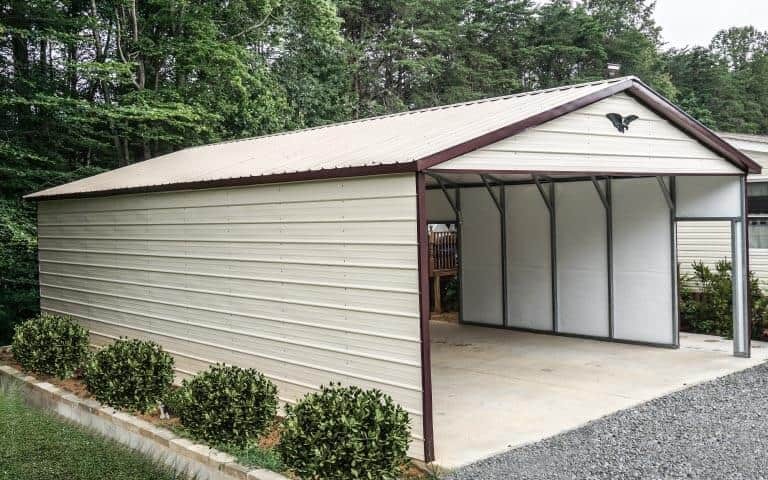 MetalCarports.com carries plenty of structures that can withstand all of these challenges and more, and we’ll make sure every carport we install in North Carolina meets state and county code requirements. 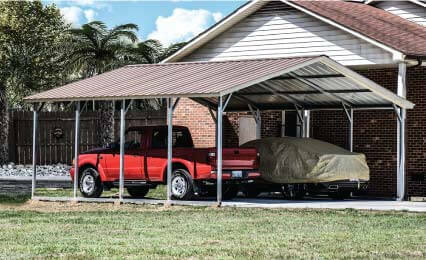 Need a little more time to save up the money for a large or heavily reinforced metal carport? 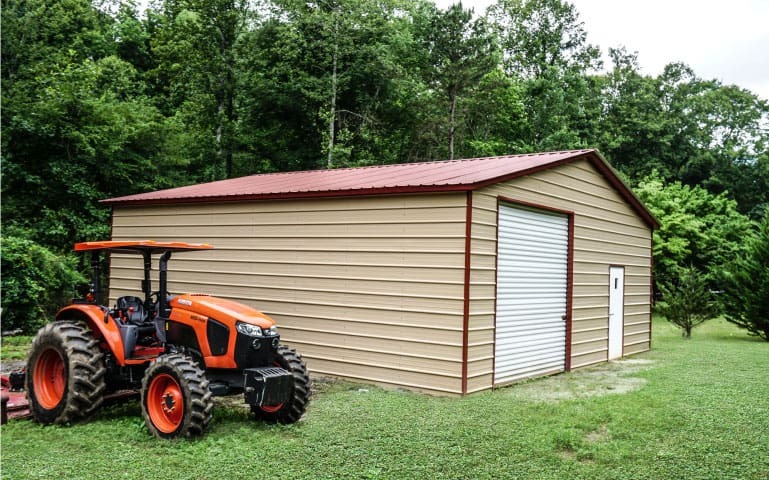 Check out our options for rent-to-own and financing arrangements.